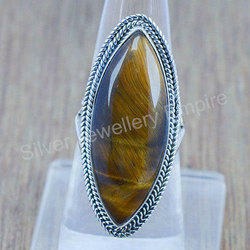 - Adorn your lovely hands with this gorgeous statement finger ring in oxidized metal. - The ring size is adjustible and will fit any finger size. We offer a beautiful collection Designer Metal Rings. It is extensively produced in various sizes as per client requirement.Designer Metal Rings looks appealing on a fair or dark complexion. It is extremely pretty with its studded look and has the charm of the dark heavens. This Ring's Weight = 28 gm. @ 6 Rs. = 168 INR. 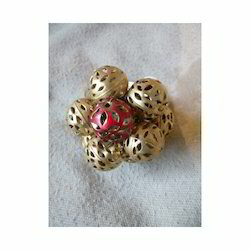 finger ring , made up of brass metal having brass antique on it. We are instrumental in offering an attractive range of Stylish Metal Rings. These are designed and crafted as per the prevailing market trends using superlative quality metal and advanced methodology. The offered range is renowned in the market for its premium quality, long-lasting sheen, flawless finish and attractive designs. We are an acclaimed name indulged in offering our patrons a superior quality range of Metal Om Ring. We are a customer-centric organization, which is engaged in providing our clients with a wide range of Designer Rings. We design and offer our fashionable metal finger rings in various sizes. Carved from premium quality metals , our range of rings come in variety of designs and shapes for both men and women.